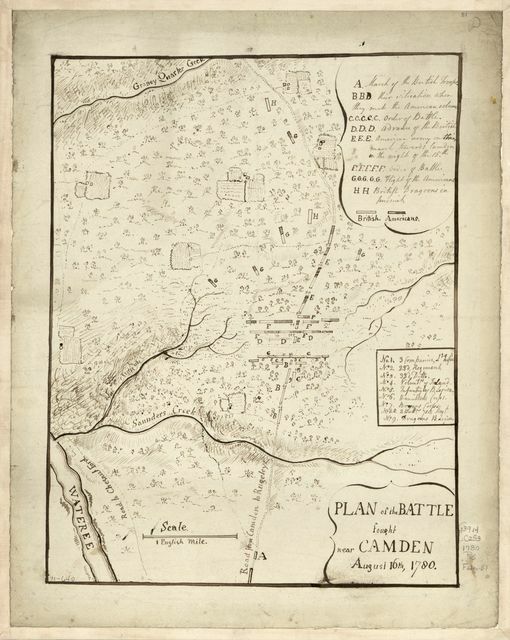 Plan of the battle fought near Camden, August 16th, 1780. A sketch of the battle near Camden in South Carolina, 16 Augst. 1780.